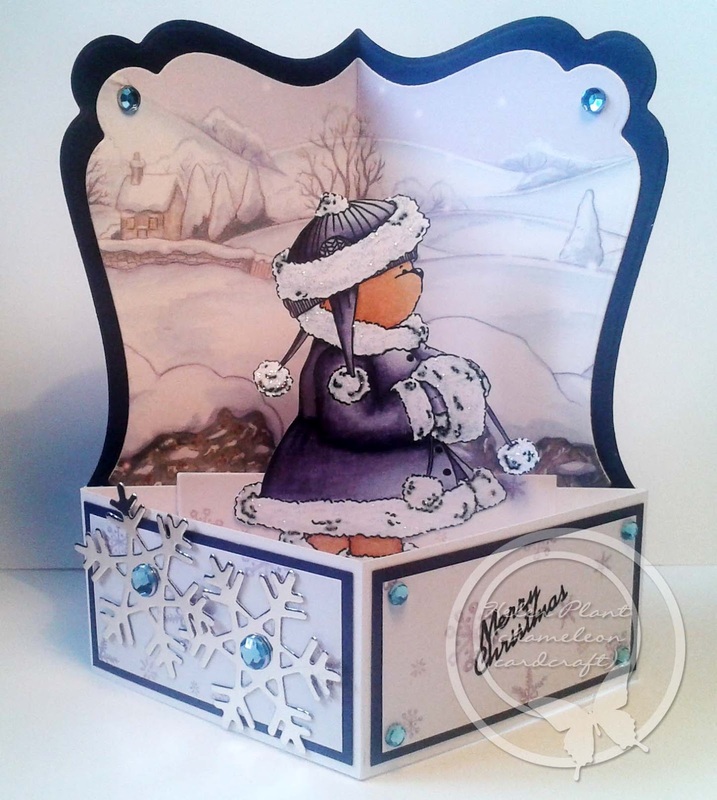 I saw a similar card on Digi-re-doo-dah, and thought it was lovely, I just had to have a go at making one. I love how it folds flat for posting. 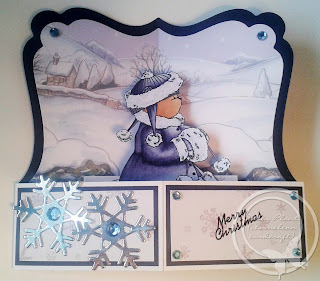 I know it is a bit early for Christmas but I really liked this winter scene, I have had it since last year. I have used a Teddy Bea digital image, the background is from Kanban. I have used a Go Kreate die to shape the back to make it a bit more interesting. Thanks Elaine and thanks for becoming a follower. This is just gorgeous hun, love the shape! Great card, brilliant the way it folds flat. Such a cute image too.